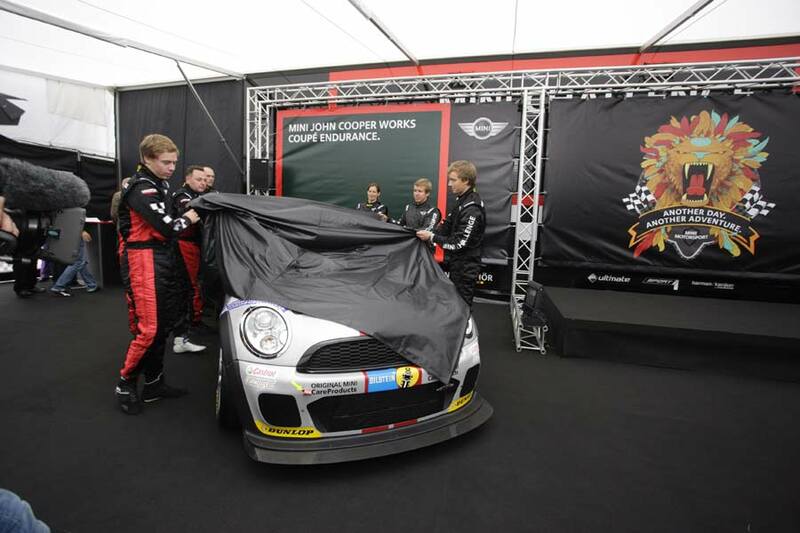 The road version of MINI’s new coupé has only just been revealed, and has yet to show its face publicly. 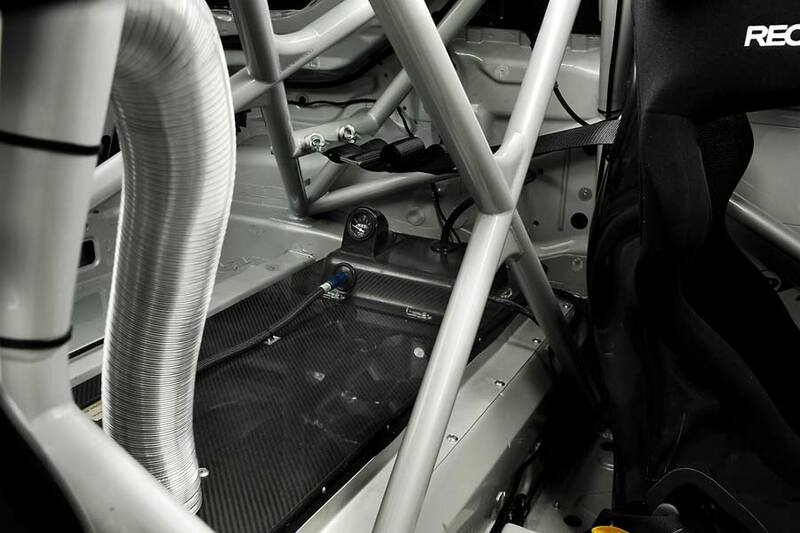 All that will change this weekend, but don’t expect to see any luxuries – such as wind-down windows, or a CD player, or even a heater. 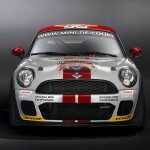 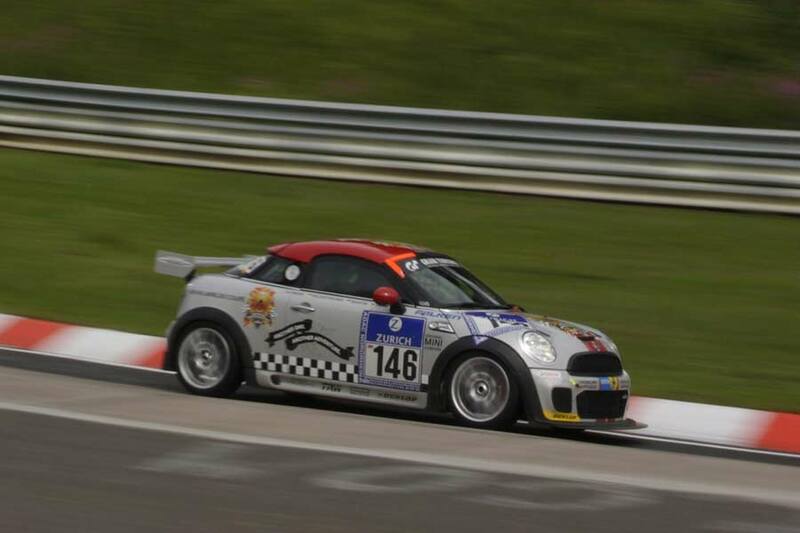 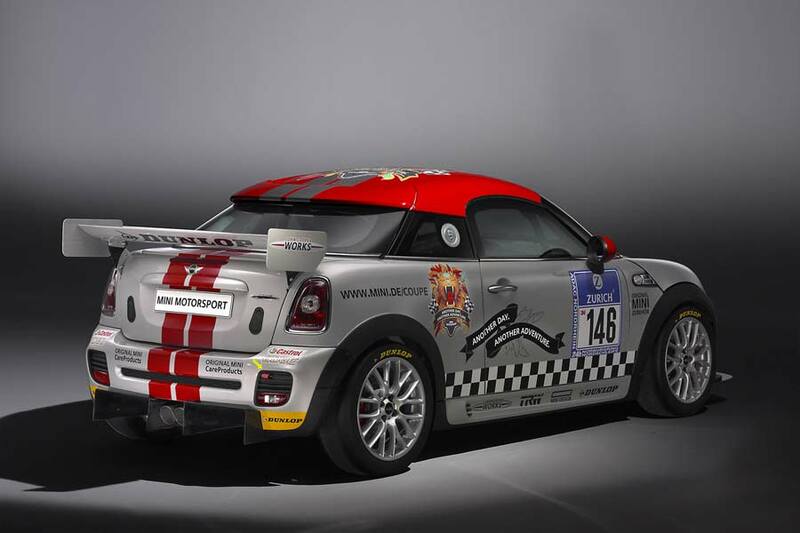 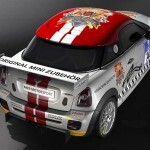 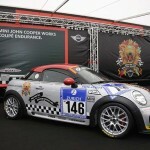 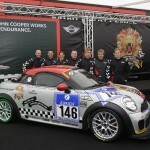 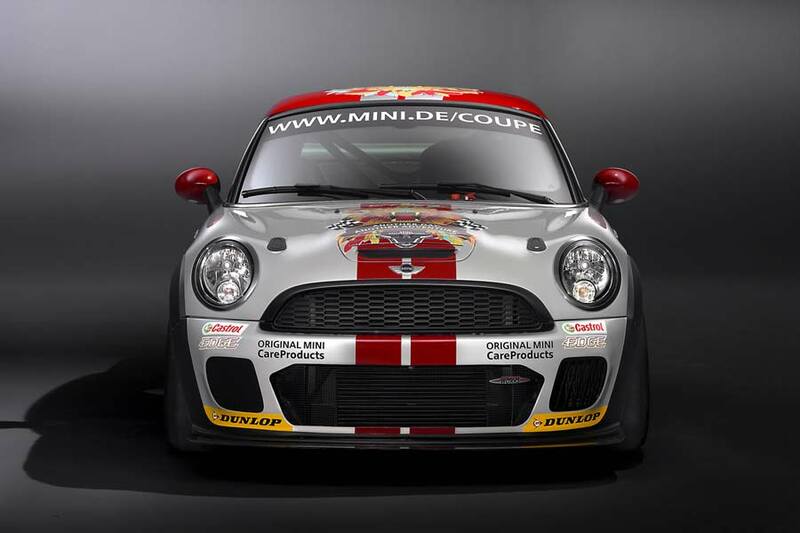 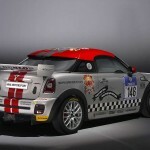 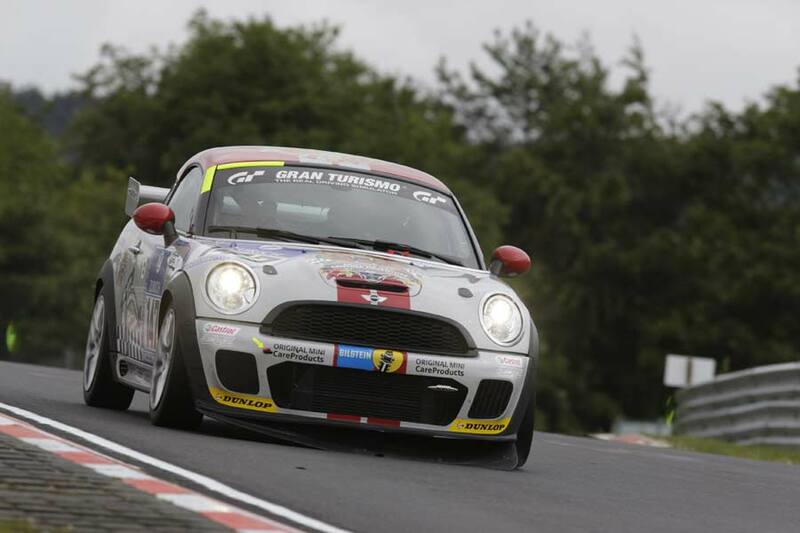 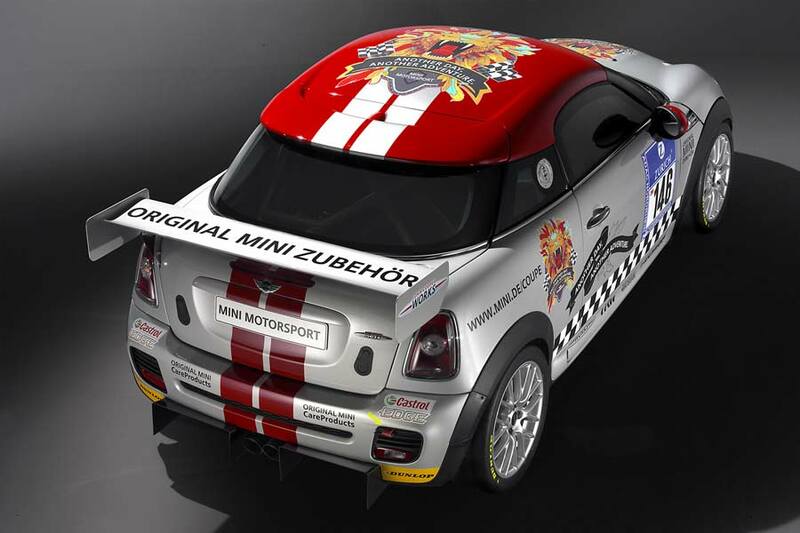 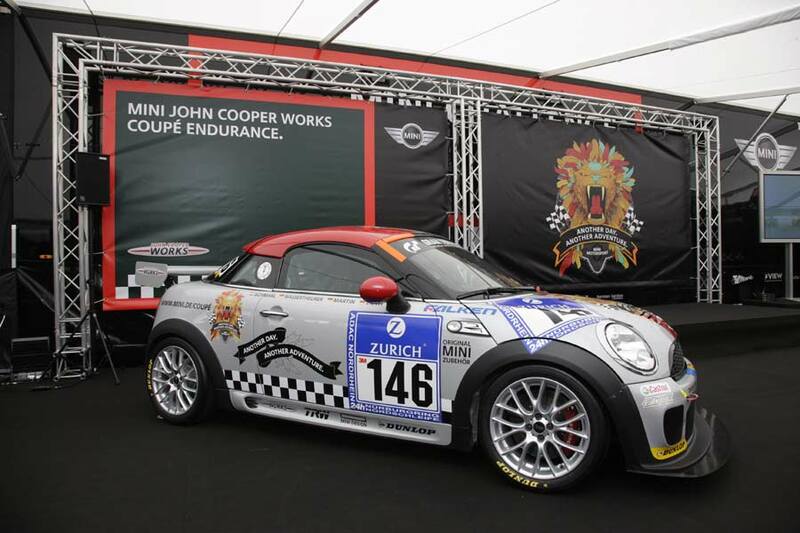 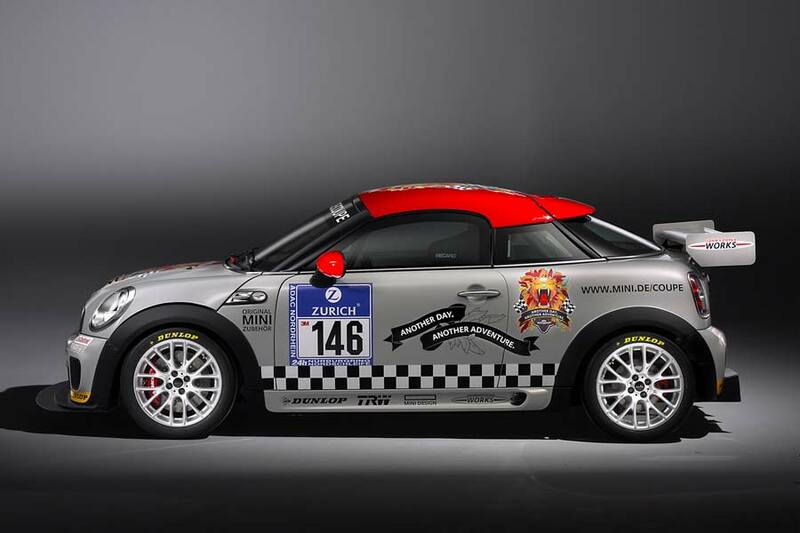 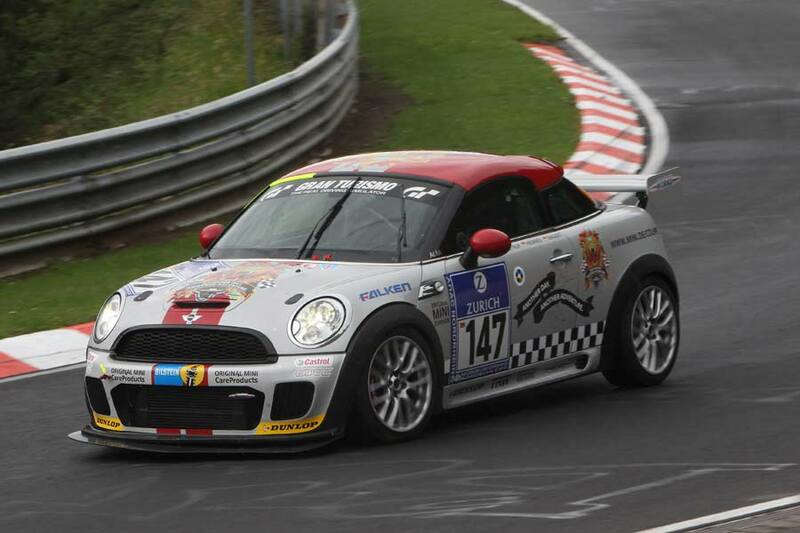 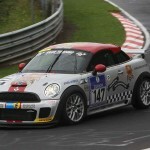 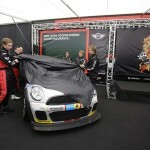 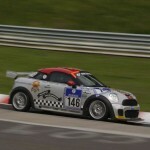 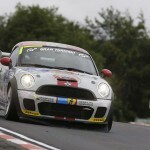 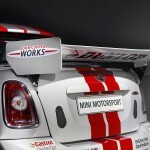 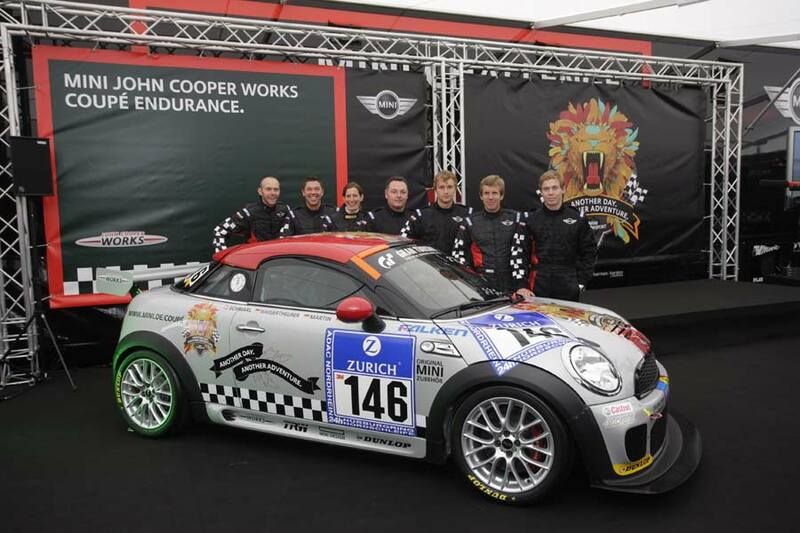 That’s right, for the first time in its history, the fabled Nürburgring 24-hour race will host a car’s official début – the MINI John Cooper Works Coupé Endurance, which will be there to compete in the “SP 3T” class. 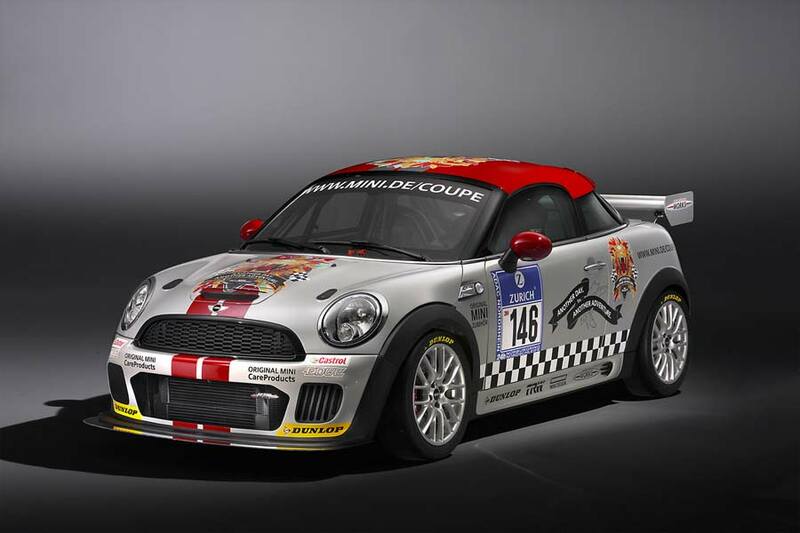 Powered by a tweaked version of the twin-scroll turbocharged 1.6L four-cylinder unit, output is 250 hp (up from 211 hp on the road car) with a top speed is in excess of 240 km/h (149 mph). 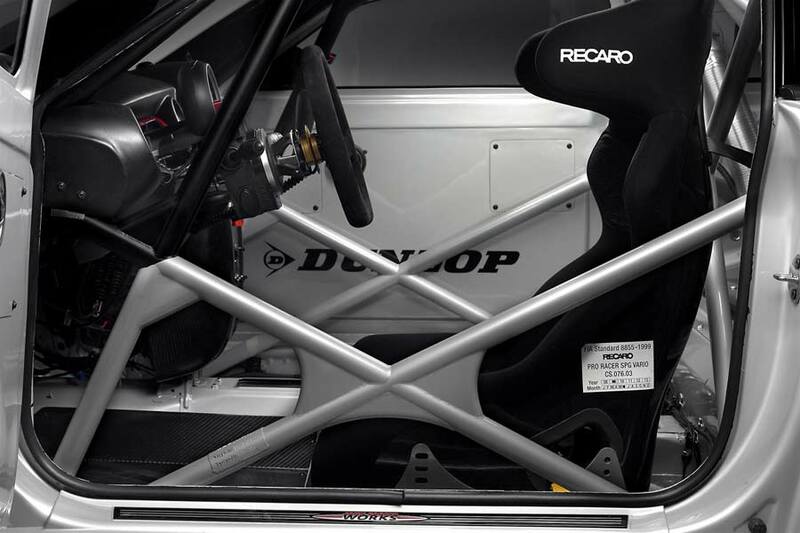 As mentioned earlier, the interior has been stripped of pretty much everything – apart from a single RECARO bucket and substantial rollcage. 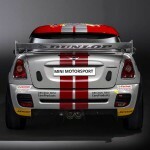 This helps to shed an astonishing 535 lbs, taking the MINI’s weight to an anorexic-like 2,200 lbs. 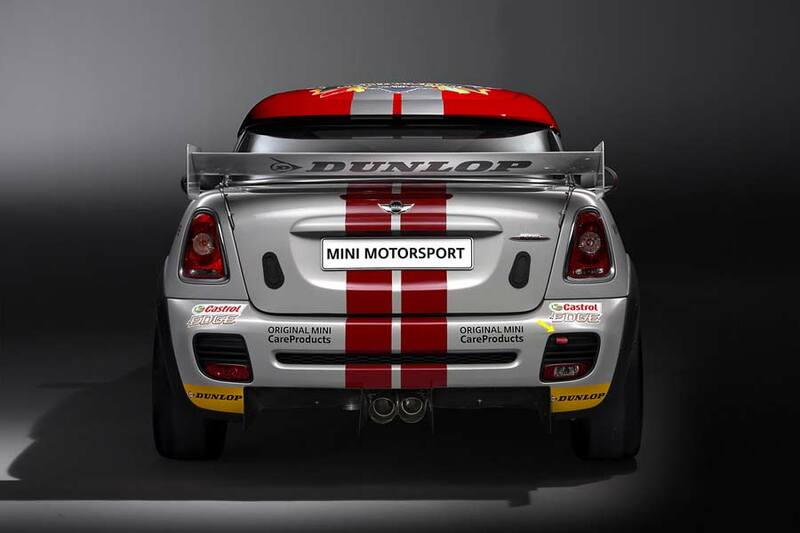 The Coupé’s A-pillars and windscreen are sharply raked by 13 degrees compared to the Hatchback model, which results in a smaller frontal area, and enhanced aerodynamic properties, which is useful. 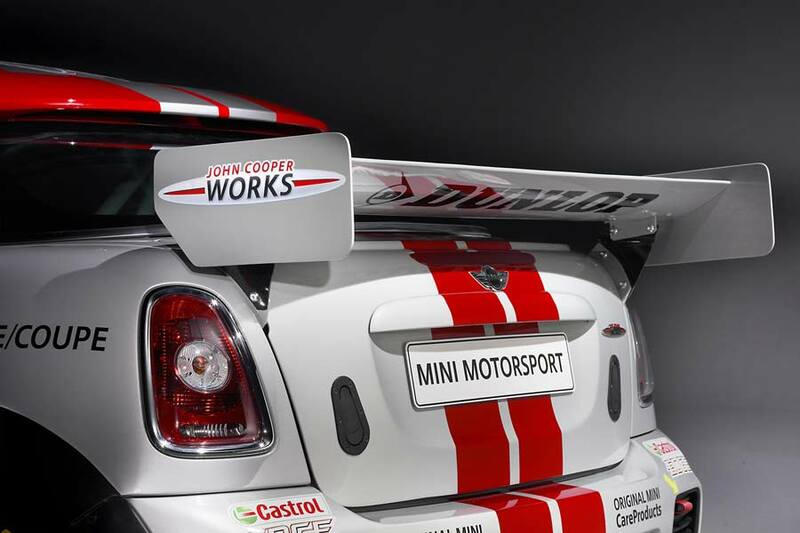 Along with the obligatory JCW Aerodynamics Package there’s also a substantial front spoiler, rear diffuser and adjustable rear wing.